Backed by the team of experts and professionals, we are prominently rendering a quality range of Grey Water Treatment Plant. These plants are manufactured under the supervision of our experts with premium quality raw material and advanced technology which is procured from trusted vendors of the market. Further, all these products are stringently tested on various parameters before dispatching it to the customers end. Owing the features like, high functionality and longer service life these products are in demand. Grey Water is wastewater, which is produced from domestic activities like, clothes laundry, bathing and washing dishes. By using the Grey Water Treatment Plant one can recycle this wastewater for landscape irrigation and flushing purposes. 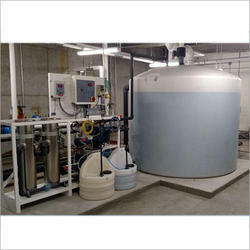 As a result of using these Grey Water Treatment Plants, you can reduce usage of fresh water. Greywater can replace fresh water in many instances, saving money and increasing the effective water supply in regions where irrigation is needed.